Homer is envious of neighbor Ned Flander's new mobile home and goes to Bob's RV Round-Up to buy one of his own. Because of his poor credit, he only qualifies for a dilapidated one. Thrilled with the new RV, Homer takes his family on an excursion. Driving on remote back roads, he loses control of the camper and comes to a halt on the edge of a cliff. The family abandons the vehicle just before it plummets into an abyss. Stranded in the wilderness, Homer and Bart set out for civilization, unaware that baby Maggie is tagging along. 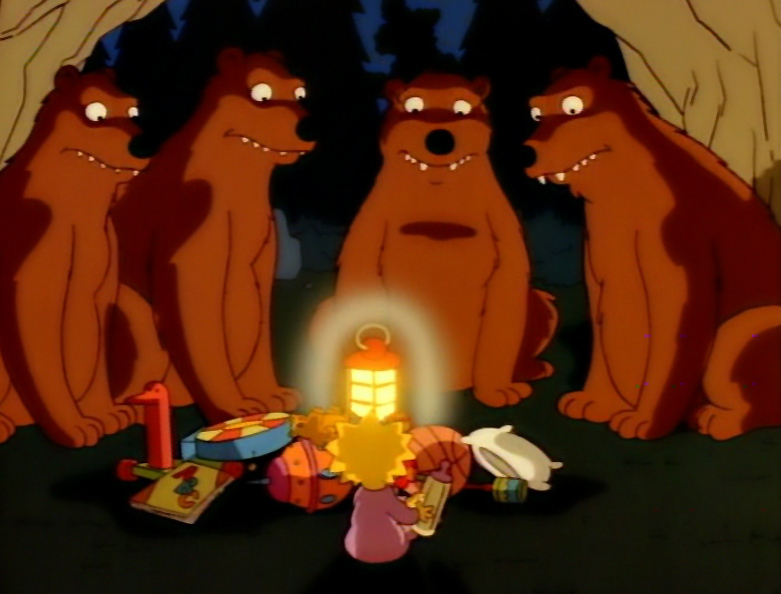 Separated from Homer and Bart, Maggie is soon adopted by a family of bears. 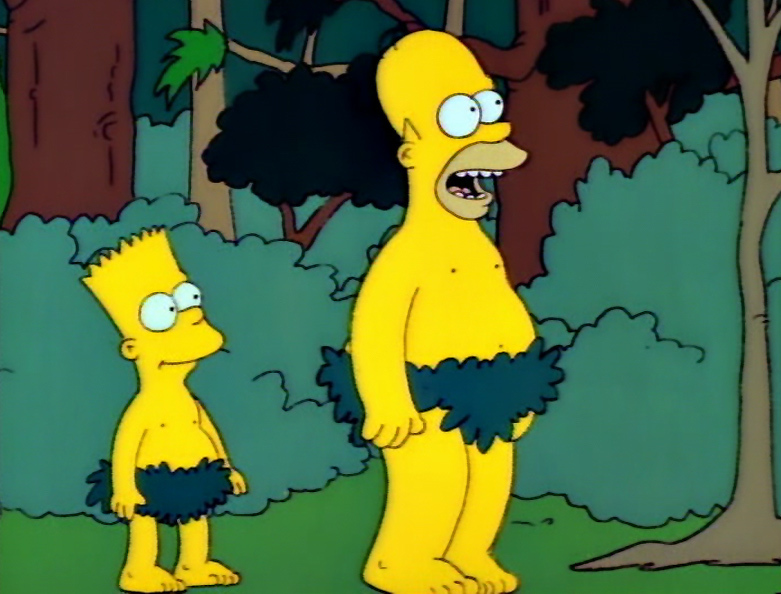 Homer and Bart lose their clothes in a fast-moving river and use plants and mud to cover themselves. A nature photographer, mistaking Homer for Bigfoot, takes a picture and flees. Soon the forest is inundated with Bigfoot hunters and souvenir stands. Reporters find Marge and warn her about the hideous creature roaming the woods. When she sees the picture of Homer, Marge identifies the grotesque monster as her husband. Cold and near exhaustion, Homer is captured by hunters, shot with a tranquilizer gun, and taken to a lab for tests. 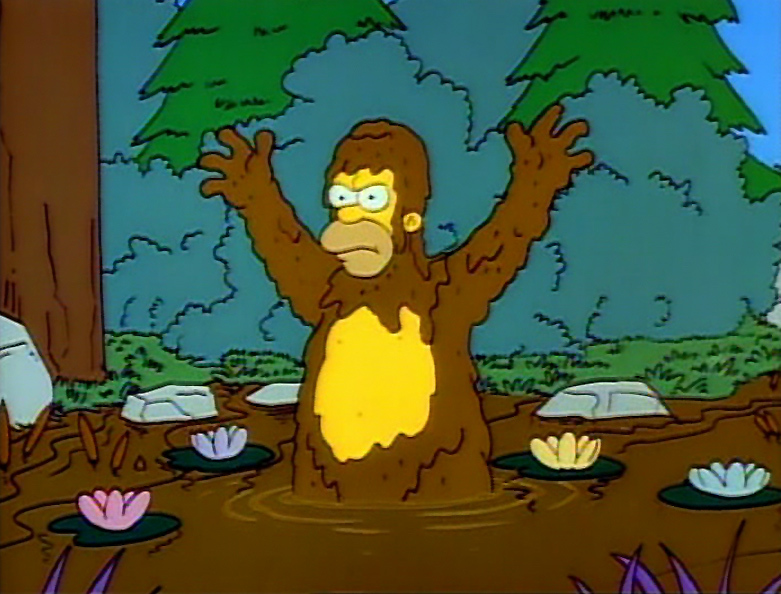 Scientists observe Homer, but are unsure if he is Bigfoot or a below average human being. They allow Homer to return to his family until they can determine to what species he belongs. 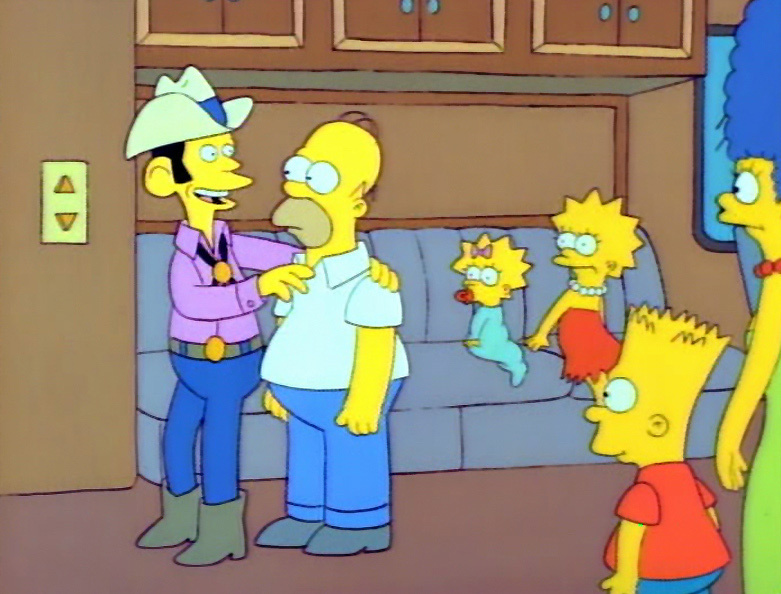 Homer buys the family RV from Bob's RV Round-Up with signs that read We'd Rather Make a Friend...:) Than a Profit. :(, Bankruptcy? Shmankruptcy, We Give Credit to Everyone and Bad Credit? Good! Bart and Lisa play a game in the car called What's That Odor?, the winning guess was "Dad's feet"
The National Informer reports Bigfoot Still at Large, I Married Bigfoot, Bigfoot's Wife Pleads: "Call Him Homer", and The Bigfoot Diet: "Pork Chops Aplenty"
Scientists conclude that Homer is "either a below average human being or a brilliant beast"